Although we have already done a big feature on Caged Element's futuristic racer of 'GRIP' which is inspired by the incredible fast paced racer of Rollcage, published by Psygnosis way back in 1999. We are here to give you the heads up over a new Cross the Line Trailer that has since been released showing not just all out destruction, but fast paced racing, a thumping soundtrack, and even Alien worlds! 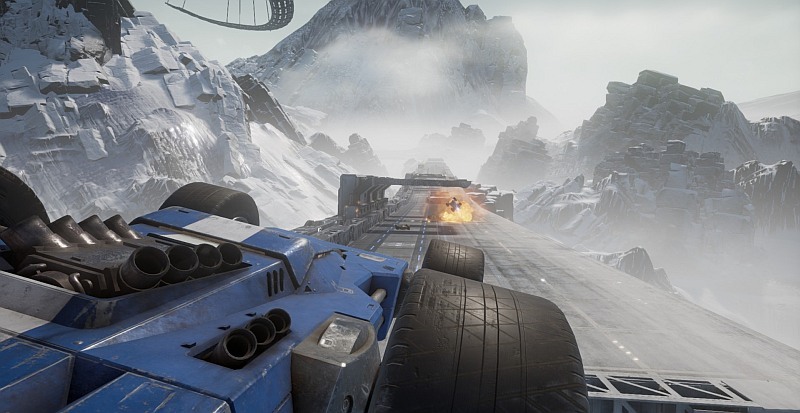 GRIP is bringing old-school style combat racing back with a bang. Inspired by the Rollcage games and actually developed by some of the original team much to the delight of drooling playstation 1 and old windows owners. This game that has already gathered positive early access reviews, has 8 vehicles full of cool customizations, 6 game modes, 10 race tracks, 5 weapons, awesome power ups and much more with further additions yet to come!